The Autism Diagnostic Interview Revised (ADI-R) is a common autism screening tool. 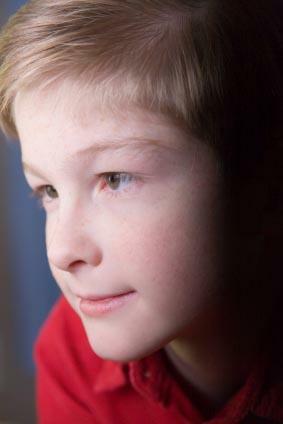 The ADI-R is often used with other screening tools such as the autism diagnostic observation schedule, to determine if a person has an autism spectrum disorder. A psychiatrist or another licensed medical professional conducts an ADI-R with a patient's parent or caregiver. The ADI-R evaluates the behavior of adults and children with a mental age of at least 18 months. Dr. Ann LeCouteur and her colleagues developed the original version of the Autism Diagnostic Interview and published it in 1989. The original interview was created for research purposes rather than as a diagnostic tool. The interview assessed the behavior of adults and children who were at least five years old and had a mental age of at least two years old. Over the years, health professionals began using the test as a diagnostic tool. In 1994, LeCouteur and her colleagues revised the test to make it a stronger autism screening tool. The ADI-R is a shorter version of the original interview and can evaluate children as young as two years old. Today the ADI-R helps medical professionals develop a diagnosis and prescribe appropriate treatment plans. A licensed medical professional such as a psychiatrist uses the ADI-R to interview a patient's parents or caregivers. The ADI-R is designed for adults and children with a chronological age of at least two years old and a mental age of at least 18 months. The interview is usually conducted in a medical office or a patient's home and lasts for one to two hours. The ADI-R uses a scoring system for a diagnostic algorithm based upon interview answers to determine if a patient has an autism spectrum disorder. Communication and language skills - Questions include details on speech development, appropriate word use or the patient's ability to sustain a conversation. Social interaction issues - Questions deal with issues such as how the patient interacts with others, interprets emotional responses or shows emotions. Repetitive and obsessive behaviors - Questions are designed to look for stereotyped autism spectrum disorder behaviors such fixation on unusual items, irrational hand flapping or repeating phrases out of context. The ADI-R interview begins with questions about the patient's early development and general background. The next set of 41 questions deal with communication and language. Social interaction and play habits are discussed in questions 50 to 66. Questions 67 to 79 deal with the patient's current interests and behavior. The last 14 questions cover general behavior and include questions about memory, activity level and motor skills. The patient's background - The psychiatrist will ask about the patient's family medical history, previous medical diagnoses and current medications. General patient behavior - The interviewer will ask questions that describe the patient's past and current behavior patterns. Developmental delays - The questions will cover developmental milestones and any delays. Language skills development and loss - The interview will gather information on the progress of the patient's speech and language skills. Destructive behavior - The psychiatrist will ask questions to find out if the patient has any aggressive or self-destructive behavior such as biting or head-banging. The scoring ranges from zero to three. A score of zero means that an abnormal behavior is not present. A score of one suggests a mild form of abnormal behavior exists. A score of two means that an abnormal behavior is significantly present. A score of three represents a severe form of abnormal behavior. Additional scores of seven, eight and nine are assigned to abnormal behavior that does not meet other scoring requirements. These scores are converted to zero when the psychiatrist conducts the diagnostic algorithm. The algorithm has a minimum score for each area to determine the appropriate autism spectrum disorder diagnosis. When all the scores are added up, a diagnosis is provided. You can learn more about the ADI-R interview from Autism Genetic Resource Exchange and Interactive Autism Network.